Finding a good insurance agent is kind of like finding a spouse – you need to have good communication, common goals and values, and the desire to stick with them for life. Las Vegas insurance agents are every where and you want to find the right one for you. Of course, you don’t owe your agent the same commitment you do your significant other, but when you find the right one, you’ll never want to go through the hassle of finding another. Using just one agent for all of your personal insurance needs can be very convenient, but it will require you to decide exactly what you need so you can find the agent who can provide it to you. Bundling insurance policies can help save money, so make a list of what lines you’ll need: auto, homeowners, renters, flood, dwelling, umbrella, etc. Referrals can go a long way. Talk to your friends and family to see if they’d recommend an agent or a specific company. Ask them why they’d recommend the agent and broker and decide if these qualities fall in line with what you’re looking for. Regardless of whether you have gotten some suggestions from friends or family, be sure to ask plenty of questions of your potential agent and their staff. 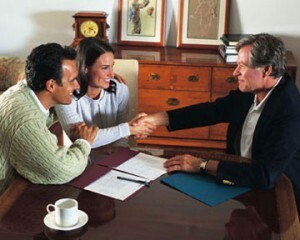 Ask for extensive information on each insurance policy. You’ll also want to ask about the agency and supporting staff as well to get a good feel of the availability of your potential insurance agent and staff. After you’ve narrowed your candidates for insurance agents, get actual quotes on the policies you’re interested in. Be sure to ask about any discounts for bundling policies, as well as other available discounts. A good agent will try to find you the best coverage with as many discounts as possible. If you’ve found an agent you like who also offers you the coverage you need at a price that fits your budget, you might be ready to purchase your insurance policies and work with your new agent. Before you renew your policy, reflect on the service and accessibility of your agent and his or her staff. Hopefully, you will have found an agent and started to build a relationship that can last a lifetime!